We are running out of stock. An opportunity to assess our storage choices and provide a few tips. 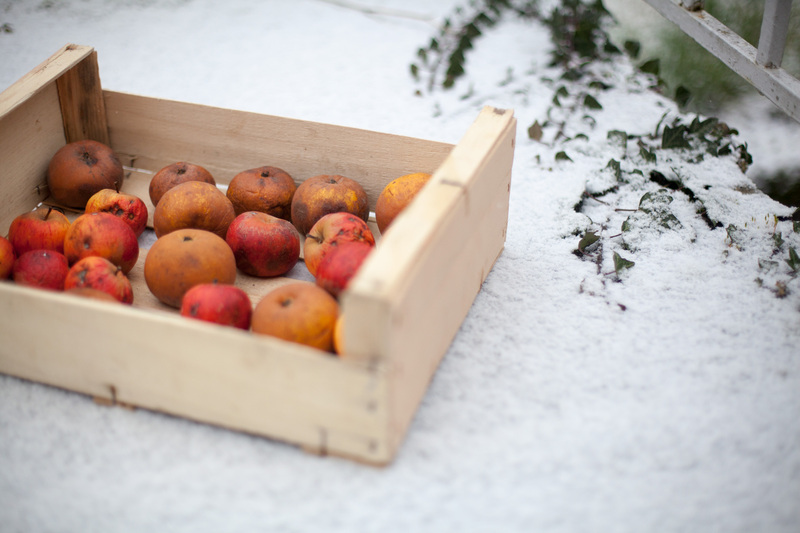 Some of our last apples, kept in the cold staircase of our townhouse for the past two weeks. Some of them kept very well, as if they had been harvested a few weeks ago. Some shriveled and softened. 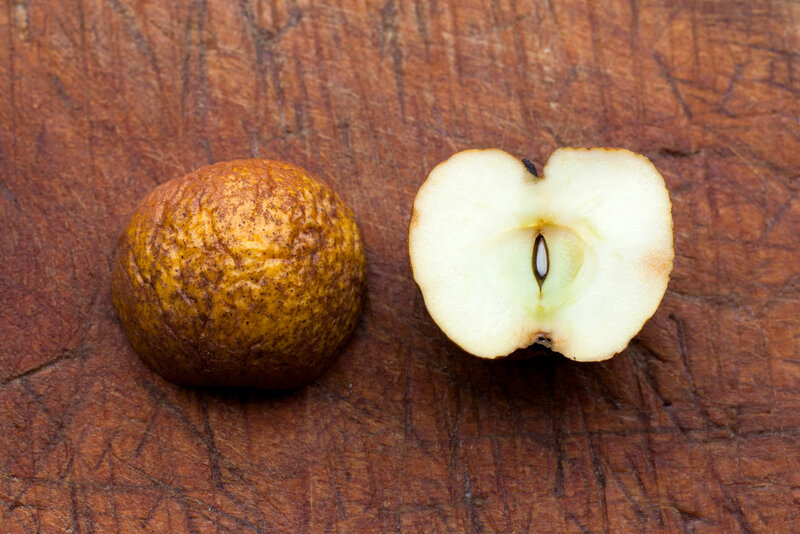 Russets like this are delicately juicy and have an intense taste, exquisite. 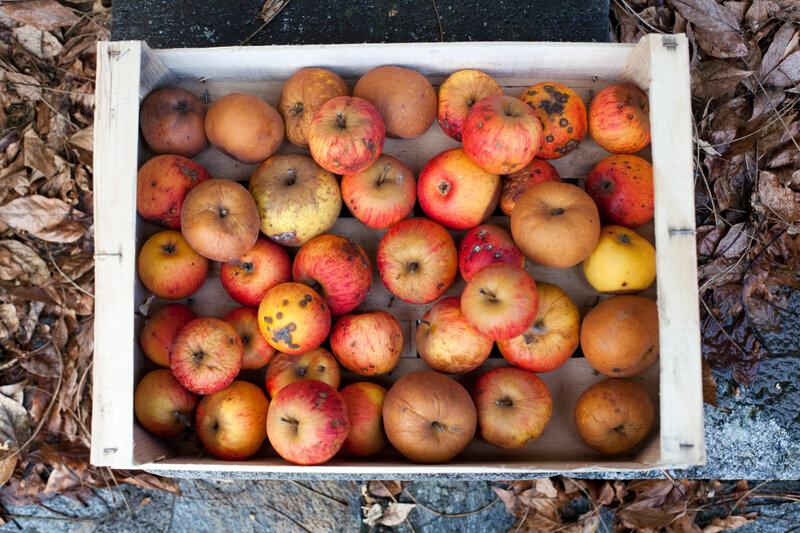 We took the apples out of countryside storage two weeks ago. Photo 3 February. Harvested four months ago, some were kept in a humid cellar. We lost many of them, through rot. Photo 3 February. Some were stored in an old barn with good air circulation. Many less got rotten. A few of them were eaten by small animals, and therefore were not lost for everyone. Photo 3 February. This would be my advice for keeping apples for as long as possible. Cold is the most important factor. 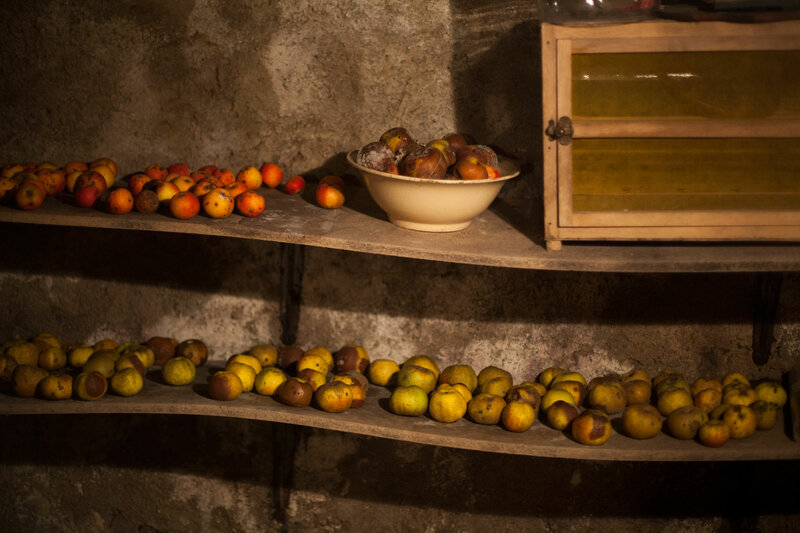 We put some apples in an old kitchen where temperature was above 15°C and they shriveled quickly. Storage life also depends on the cultivar. 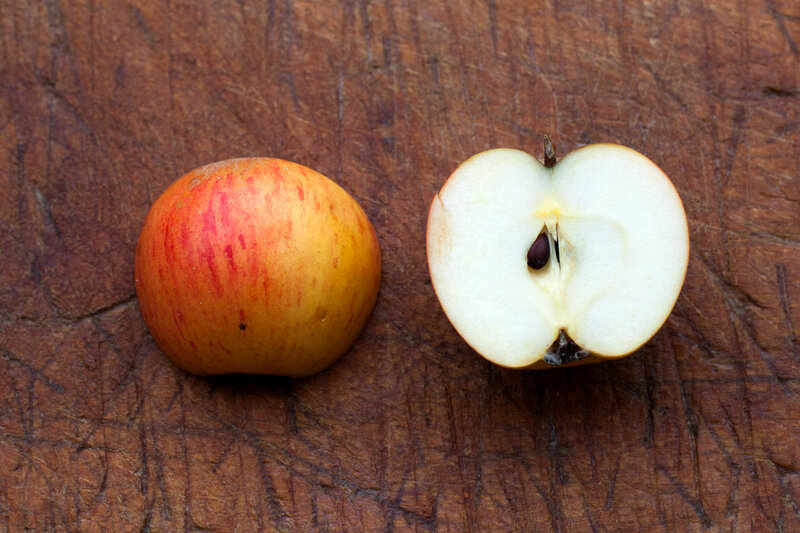 Russets are a good example of apples that keep for a long time. We still have a few kilograms of them in perfect condition and could keep them for a few more months. Except that they are so tasty they won’t last that long. 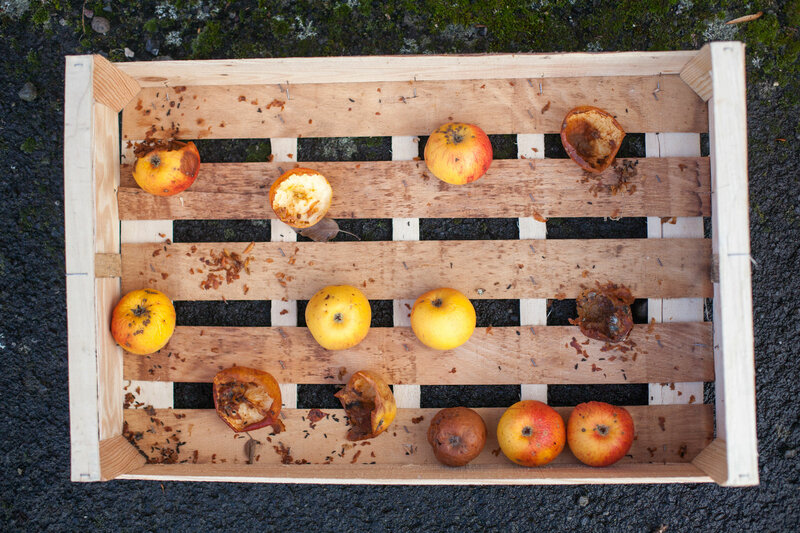 This entry was posted in Eat and tagged Apples, France, Saint-Simon by Les Jardins d'ici. Bookmark the permalink.